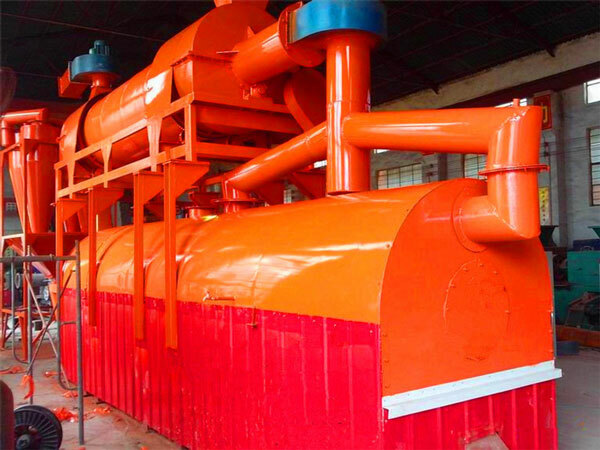 As for sludge treatment, we Beston(Henan) Machinery can provide you waste sewage sludge carbonization plant, which adopts the latest sludge treatment system, and the sewage sludge carbonization plant can handle the biomass waste, such as straw, wood waste, sawdust and the municipal solid waste, too. Beston sewage sludge carbonization plant have many advantages over other sludge treatment plants in many aspects. 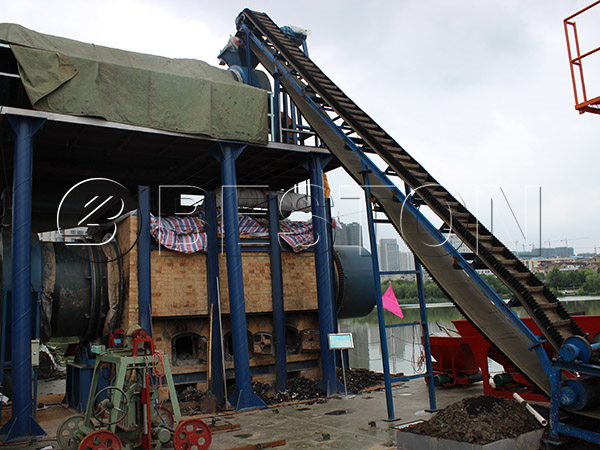 Here we can list you some advantages of Beston sludge carbonization machine for sale. First, the latest technology of Beston sewage sludge carbonization plant. 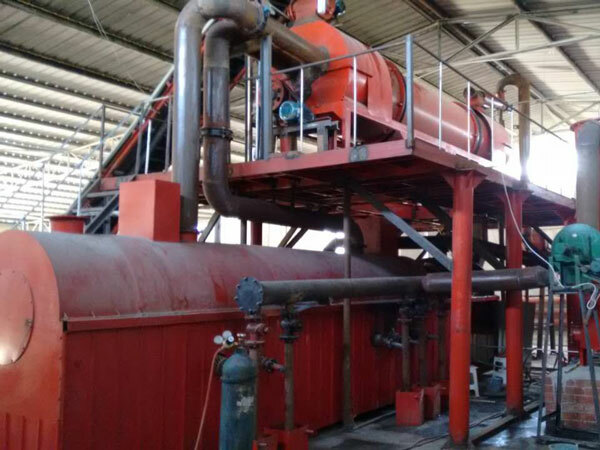 Our sewage sludge carbonization machine for sale adopts the one fire, two steps method, which can save a lot of energy during the sludge carbonization process. The combustible gas produced during the sewage sludge carbonization process can be recycled to heat the carbonization host and dry the sewage sludge, so the energy cost is saved to a great extent. Second, the various capacity of Beston sludge carbonization plant. 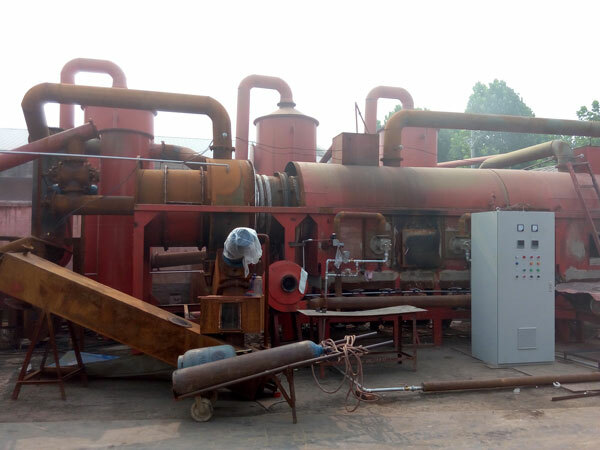 Beston sludge carbonization plants for sale work in a continuous way, and the capacity is different, so you can choose basing on your budget and the amount of the waste you want to dispose. The models are BST-05, BST-10, BST-20 and BST-30. The followings are the details of the different models of sewage sludge treatment plant. Besides the above-mentioned information, our sewage sludge carbonization plant is special in its security design, because it can not protect the environment, but also ensure the safety of operators and the plant itself. The main parts of the sludge carbonization machine are an auto-feeding conveyor, dust-removal device, gas cleaner system, cooling and discharging conveyor, carbonization furnace and other equipment. Among those, the auto-feeding conveyor and discharging conveyor enable that the carbonization can work in a continuous way, thus the carbonization time is shortened. And the flue gas treatment equipment, de-dusting system and gas cleaner system enable that there is no pollution gas during the process. 1. The sewage sludge need to be dried before the process, and the size of the dried sewage sludge should be below 50 mm. 2. Put the processed sewage sludge in the carbonization host. 3. Dust-removal device will remove the dust in the gas by the recycling water, and gas cleaner will make gas clean, and you can use the gas to heat, which will not pollute the environment. 4. After de-dusting process, the combustible gas will be piped into condenser, in this process, you can get wood tar and vinegar from the combustible gas, then the combustible gas will be recycled to heat the carbonization host by the draft fan. Using our sludge treatment plant can make the industrial sludge treatment and disposal easier and more efficient. In addition, the end products can be widely used in many areas, which makes the plant profitable. 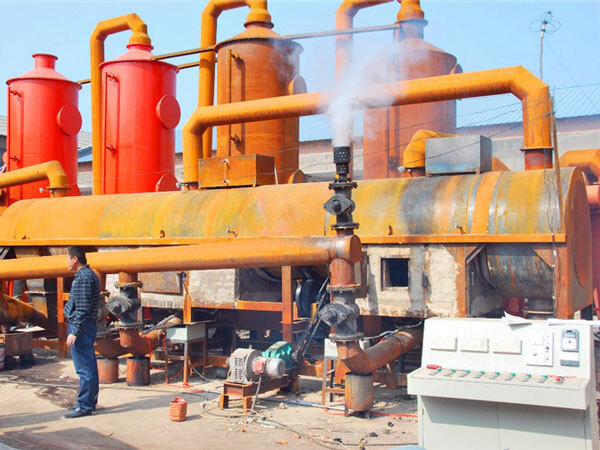 The biomass carbon is useful alternative energy in many aspects. It can be used as fuel in industry, and it is also the suitable carbon for barbecue. Moreover, using the biomass carbon to make activated carbon is another choice since the activated carbon is increasingly popular in the market. Beston sewage sludge carbonization plants for sale in the market are thought highly by the customers, and Beston Group enjoys a great reputation in the market. 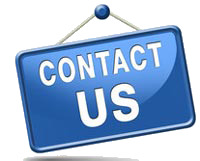 You can send us your request if you are interested in this kind of investment.